I'll be the first to admit, i'm no big fan of tourist traps though i'm not entirely a scrimp-to-the-max backpacker. If there's a bit of budget left, i'd go for a bit of luxury (at least to me) so I guess i'll resist putting myself in any category. But every once in a while, it's nice to go someplace where i can escape from the trappings of modern life like the omnipresence of the mobile phone. I got my wish in going up the forest town of Imugan. 30 minutes of going up almost a thousand feet of elevation, the air turns nippy akin to Baguio but without the urban air pollution. The jeep left way past 11 o'clock because here, as with other places in the Philippines, transport skeds can be alas puno (leaving only when the vehicle is filled up). But even though we were a bit jampacked, it was nice to chat with the friendly folks, most of whom are homeward bound after having bought supplies in Santa Fe. I nearly went here for a writing assignment a few months ago and i'm glad that i finally did, on the prodding of my best buddy, Ironwulf. He went here to photodocument the carbon trading project of an NGO so he knew whom to approach and where to go. We were billeted in the Kalahan community dormitory, a 5-minute walk from the town center. The appointments were spartan, with double deck beds and toilet & bathrooms in an outhouse. but washing on the outside sink, the view of the nearby mountains are really a sight for city-sore eyes. Signing our names on the logbook, we find most of the visitors are researchers, both local and foreign. We seem to be the only tourists here but we don't mind. In fact, we welcome the thought of spending the long weekend of communing with nature (as cliche-ish as it may sound) with the town all to ourselves. 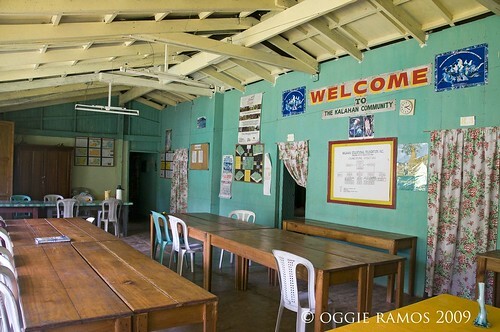 INFO: the Kalahan Community Dormitory is open to guests especially those who come to imugan for research purposes and have advised the caretakers in advanced. 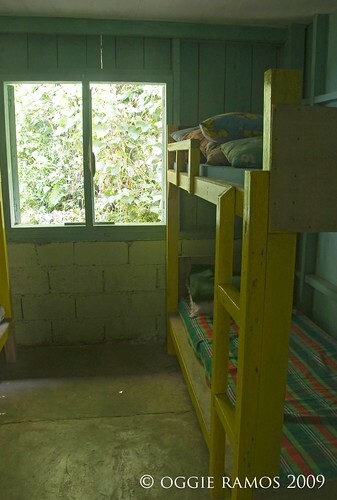 there are around six rooms, each with two double-deck beds. fee is P100 (approx. US$2) for each guest per night. beddings, pillows and blankets are charged separately but for a very nominal fee. 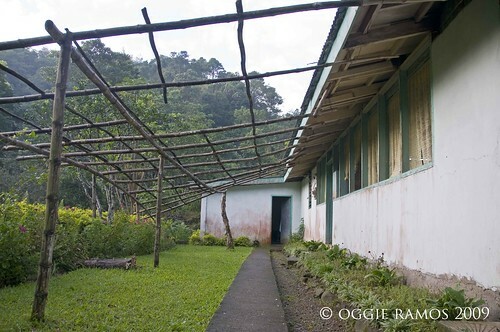 the proceeds go to the upkeep of the place as well as the community. oman, sorry about your little mishap. hope your battle scars have healed na completely bai. Do you have any stat as to the number of passengers flying off the roof of vehicles or, impossible as it may see, none do? I rode, once upon a crazy time, atop a logging truck with a full load of logs barreling down a mountain top. Obviously I survived, but I am not going to do it again even if I have to walk a couple of days to my destination LOL. Bert, I really have no idea but toploading, as it is commonly called, is common practice almost everywhere I go here. 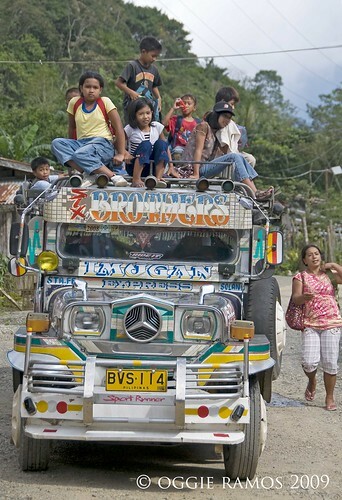 Especially when transport is scarce, even women and children ride on top of jeepneys, buses, and once upon a time, even trains. pre, thanx for this info. i might need it in a future trip. hello, would you have the contact number of the kalahan dorm? 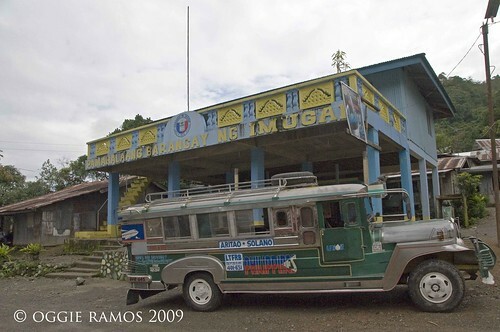 would like to visit imugan and salacsac :) thanks!